Dog magazine is dedicated to man’s best friend. 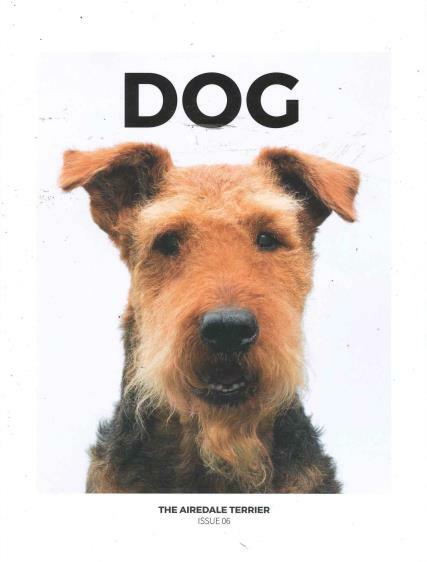 Dog is a global, contemporary lifestyle magazine which explores the presence and influence of dogs. Each issue of the magazine focuses on one specific breed. The entire magazine will explore the history and culture associated with that breed. The complete magazine for any dog lover. Buy a single issue or subscription of Dog magazine. Each issue of Dog is centred on a core topic, so you’ll get to understand the deeper relationships between people and dogs. The magazine is filled with photographic portfolios, interviews and personal essays. Each page is littered with adorable pics of dogs, contrasted with the excellent written content. What more could you want from a magazine? Dog magazine contains all the need to know information for any dog lover. The features within Dog all come from a range of various creative sources. So that the content reflects a wide range of dog owners and lovers. The magazine has 152 pages dedicated to discovering the interaction and love individuals have with their dogs. There are several photographic portfolios, celebrity interviews and personal compositions to keep to entertained.